Few aircraft projected such an evil intent as the unattractive, angular Stuka. It nevertheless personified Nazi blitzkrieg warfare and was an effective dive-bomber when unopposed, but it wilted quickly in the face of fighter opposition. In 1933 German aerial expert Ernst Udet witnessed dive-bombing in the United States, which convinced him of similar applications for Europe. 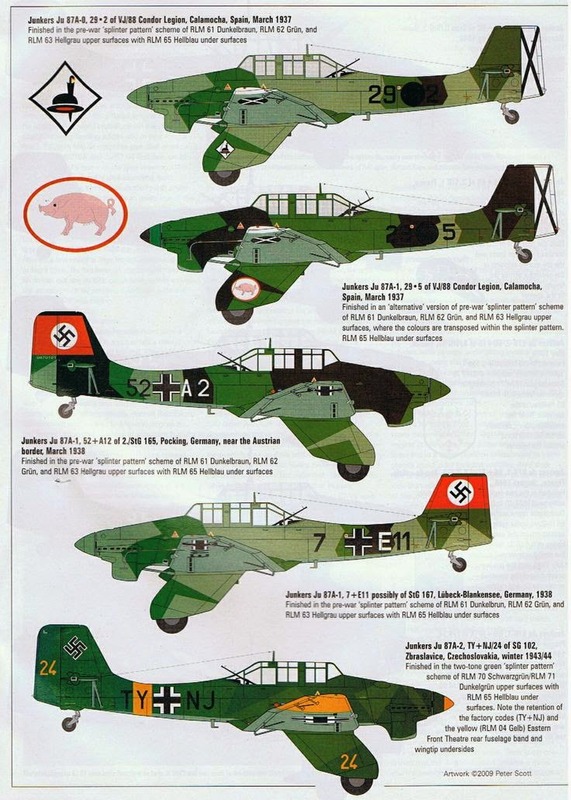 The embryonic Luftwaffe had been envisioned as aerial artillery for Wehrmacht land forces, and Udet urged creation of a new Sturzkampfflugzeug (Stuka) forces. A Junkers design team under Hans Pohlmann fielded a prototype in 1935, which was unlike any airplane ever built. 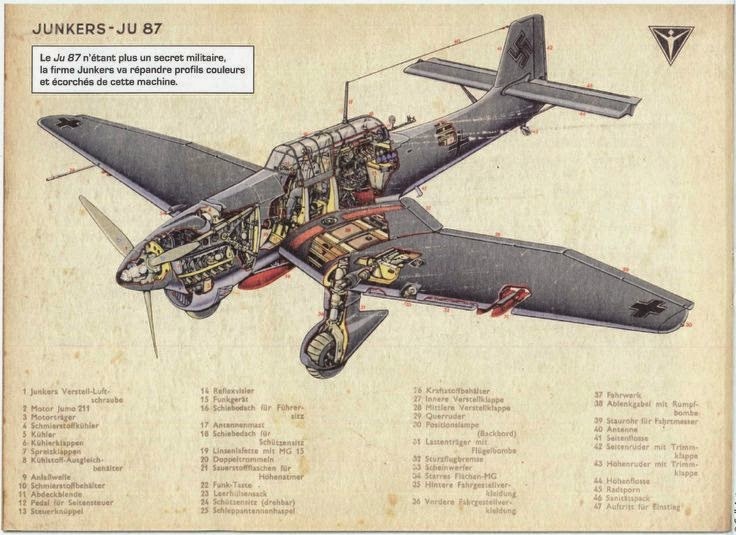 Angular and ugly, the Ju 87 was an all-metal monoplane with unmistakable “cranked” wings and trousered landing gear. A crew of two sat back-to-back in a short greenhouse canopy. Test flights proved the new craft to be somewhat slow and sluggish yet highly accurate while diving. Several saw combat during the Spanish Civil War, where they operated with great effect against weak enemy opposition. When World War II commenced, only 500 Ju 87s were in the Luftwaffe inventory, but they wielded a tactical and psychological impact far greater than mere numbers suggested. The screaming, precision-bombing Stukas epitomized blitzkrieg warfare as they blasted a path for oncoming German tanks and infantry. Their effect upon unarmed civilians was terrifying, for Stukas emitted a loud, high-pitched howl as they nosed over, giving the impression of giant birds of prey. The Ju 87s functioned brilliantly until the Battle of Britain in 1940, where effective fighter opposition caused heavy losses. Thereafter, Stukas were assigned to secondary theaters like the Aegean and Mediterranean with good results. They also enjoyed startling success against Russia, where on September 23, 1941, Hans-Ulrich Rudel destroyed the battleship Marat with a single 2,200- pound bomb, and ultimately accounted for 511 tanks. Stukas rendered good work wherever the Luftwaffe enjoyed air superiority, but by late 1944 they had faded from the scene entirely. More than 5,000 had been constructed.